Volunteer Who is a Tapasvi ? Who is a Tapasvi ? Sevak PRABHUPADA NEVER WASTED ANYTHING! The latest Bhaktivedanta Manor Newsletter. Facing the challenges of modern science vs Srimad Bhagavatam Cosmology in the 21st Century. 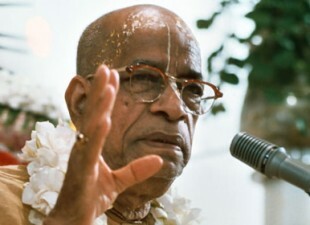 It is sometimes hard for some aspiring devotees to accept all the sastras or scriptures dealing with cosmology as literal fact in the face of modern science which in itself has changed so much since the 17th Century and has continued to transform so much even in the last 40 years since Srila Prabhupada was physically here. On behalf of ISKCON Vraja Manadala Parikrama, we would like to invite all the devotees to participate in 27th annual parikrama 2013 and get the divine experience. Krsna-lila-stava for your Kartika meditation.